Cloud9’s Jungler platoon was originally born out of necessity, but it may be a sign of things to come in the franchising era. Roster construction will be made more dynamic as the NA LCS continues to develop due to an increased focus on talent development and sustainable salaries for all players [not just starters]. Lastly, it will give League of Legends teams more flexibility in the ever changing competitive metagame. Dennis “Svenskeren” Johnsen started off the year synergizing well with Nicolaj “Jensen” Jensen, but Cloud9 faded in the NA LCS Spring Playoffs and bowed out in the Quarterfinals. A miserable start to the 2018 NA LCS Summer Split found the team scraping by to tie for last place. Head Coach Bok “Reapered” Han-Gyu tried to shake things up with a series of roster changes week by week. 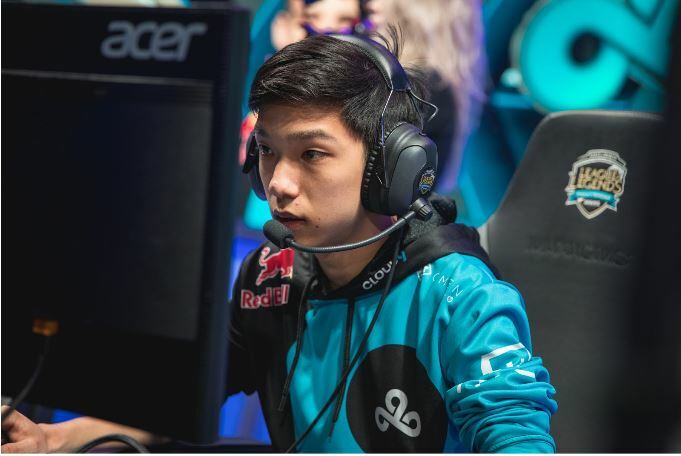 However, it wasn’t until the integration of Robert “Blaber” Huang into the main roster that Cloud9 started to turn its season around. The rookie Jungler’s intuitive, sporadic style was a tightrope walk, but more often than not, it worked. In an interview with Inven Global, Blaber put it simply: "Sometimes just jumping in 1v5 unites our team under one goal: Save me." Of course, Blaber’s rise and Cloud9’s subsequent winning streak also gave Svenskeren the time to figure himself out on Cloud9 Academy. Playing on Cloud9 Academy gave Svenskeren the chance to gain his confidence back and regain his sense of leadership in an environment with less pressure than the NA LCS. 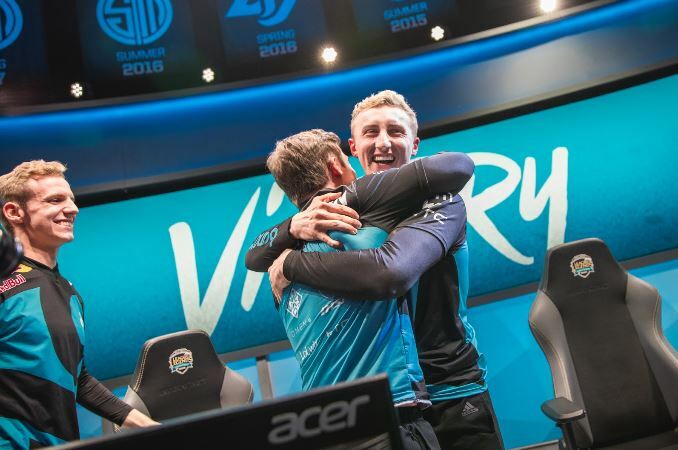 Svenskeren synergized well with C9A Mid Laner Greyson “Goldenglue” Gilmer. 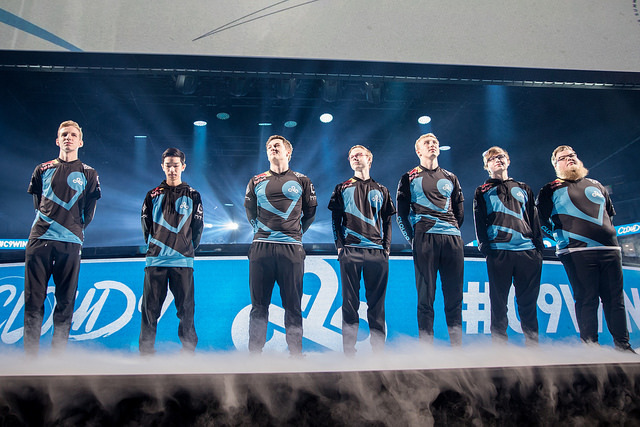 The ‘Swole Bros’ led Cloud9 Academy to a Academy League Championship, and joined the main roster as substitutes the following day. Cloud9’s usage of substitutes down the stretch of 2018 was rock solid. The untamed, natural talent of Blaber would test the mettle of the enemy jungler, and Jensen’s improvements to his roaming paid off in the form of Blaber’s saving grace. In the event that Blaber was exposed or thrown off balance in a series, Svenskeren (and domestically, Goldenglue) could come in with a pre-planned strategy based on the earlier games in the series. The substitutes would not only possess a fresh mental approach heading into a mid-series game, but would also come in with outside knowledge of the series. Cloud9 first utilized its substitutes to steal a late Summer Split game off of Team Liquid. The Swole Bros would appear again in the Summer Split Semifinals to help Cloud9 triumph over TSM. While no iteration of Cloud9’s Mid/JG duo was able to best Team Liquid in the 2018 NA LCS Summer Finals, the team was in a relatively comfortable spot. Cloud9 swept TSM in the Regional Qualifier without bringing anyone off of the bench and punched its ticket to the World Championship. Over the course of Worlds, Blaber grew increasingly ineffective in the face of experienced international junglers. Fortunately, Svenskeren showcased impressive Worlds performances, subbing in for Blaber and eventually, starting the majority of the tournament. Going into 2018, the flexibility that Cloud9’s Jungler platoon brings it will be even more integral to its success. Newly signed Mid Laner Yasin “Nisqy” Dinçer is expected to secure the starting spot, but Goldenglue’s synergy with Svenskeren could prove more pivotal to Cloud9’s current playstyle. Crucially, Cloud9 now has two Junglers from very different perspectives and career stages. Svenskeren has always been a streaky player, so having another Jungler who can play the game doesn’t hurt. Blaber is innately talented, but inexperienced. He will benefit massively from playing with an experienced Jungler like Svenskeren. Over the past seasons, the changes to the metagame have had the most effect on the Jungle relative to the other roles in the game. Electrifying Junglers like Han “Peanut” Wang-ho can look otherworldly on carry centric patches, but then utterly bewildered during metas that center around tank Junglers. 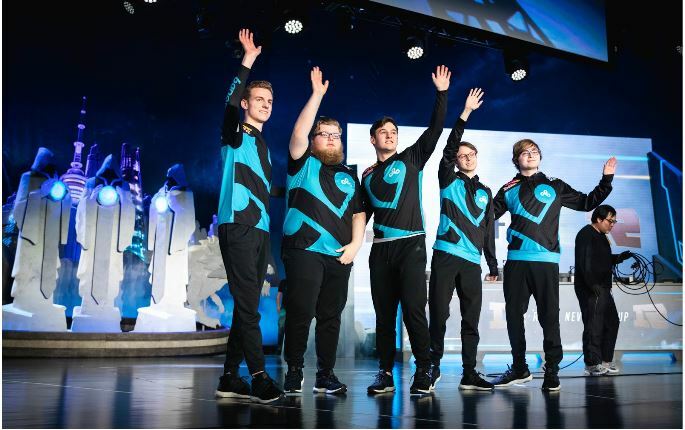 Cloud9 has two perspectives and playstyles that they can center its team’s playstyle around, and can go with the “hotter hand” on a certain patch or champion pool. Team Liquid has recently signed Mike “MikeYeung” Yeung. Jake “Xmithie” Puchero will remain the starter for TL while MikeYeung aims to figure himself out in the NA Academy League. However, if he is able to touch the form he displayed in his rookie split on Phoenix1, mentoring from an experienced, cerebral Jungler like Xmithie might be the missing piece for MikeYeung’s next career breakthrough. TSM’s new roster would be a playoff contender even with Jonathan “Grig” Armao remaining as the Jungler, but it looks like TSM acquiring Joshua “Dardoch” Hartnett from Echo Fox is not out of the question. Even if TSM is to acquire Dardoch, the organization may want to keep Grig for depth. In the era of the franchised NA LCS, depth signings will go from an innovation to the new standard. Given the mercurial nature of the Jungle role in Riot’s competitive balancing, expect teams to start stocking up on extra Junglers. Signing a potentially resurgent veteran and a young inexperienced player to learn under them provides depth at the position while simultaneously freeing teams up to “go big” financially on signing for carry roles. A star Jungler who can excel in all metas is and always will be the best option, but for teams who are unable, Cloud9’s experimenting in the Jungle position might be the blueprint for future roster construction in the NA LCS. If you enjoyed this piece, follow the author on Twitter at @NickGeracie.